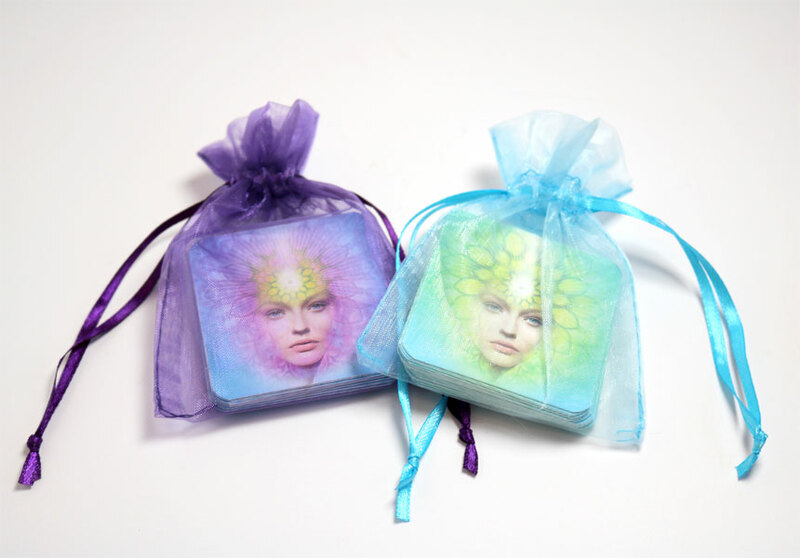 These cards were created to help you experience each day with a positive vibe. Words are very powerful, so if you find yourself in a challenging space, pick a card and read it outloud… it may just help you shift and lighten your energy. 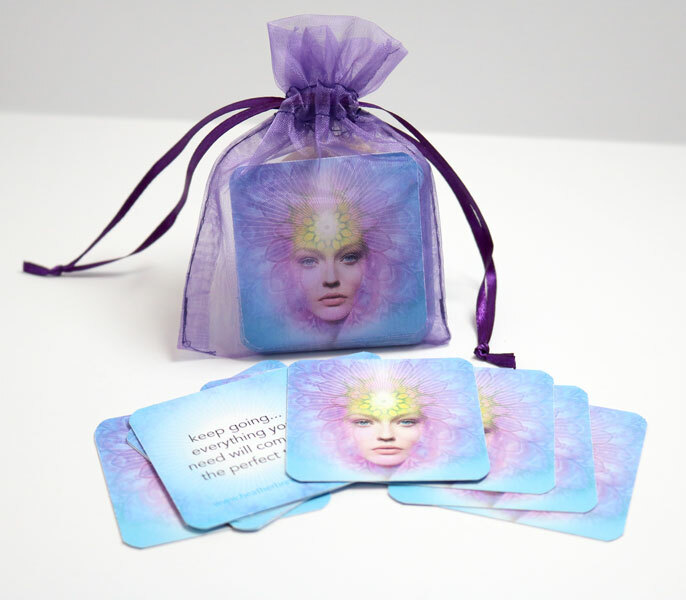 Each of these 50 mini cards come with a positive message, they are printed in high quality full color (front and back) on card stock, corners are rounded by hand and come in a drawstring organza bag. The perfect little gift to give or keep for yourself.